Finally! Maya’s words of wisdom are all collected in one place! 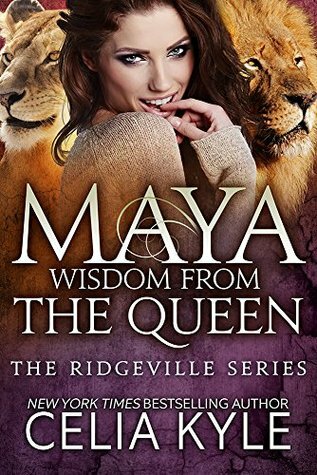 If you are an avid follower of The Ridgeville Series by Celia Kyle, you will recognize Maya, the loud, obnoxious, overbearing and totally, completely loveable Prima of the Ridgeville Pride. That woman has an AWESOME mouth on her – and she isn’t a bit scared to use it! After ten stories, the series is done (boo hoo!!! Wahhh!!!) but this final is a compilation of the various words of wisdom from the Queen of Sass which is sure to make you laugh till you pee your undies…. Grab your copy and enjoy! Oh, and one thing . . . we all know that Maya is, well, fluffy and the Queen of Booblandia – so why is the woman on the cover skinny as a rail? Humm? Pft. Oh, and, Wisdom From The King? Maya is always, and forever will be, right. — Alex O’Connell, lover of Maya, father to her cubs, and the luckiest male ever born. At least, that’s what Maya always tells him.